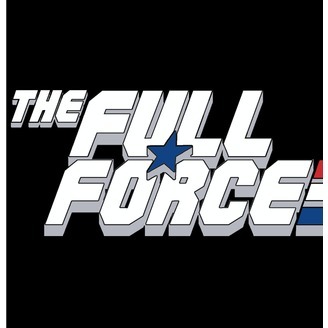 The Full Force is a fancast about the world of Action Force & GI Joe. 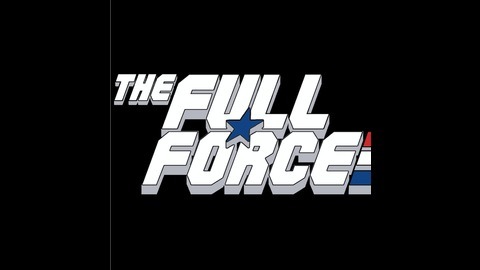 The web's #1 podcast dedicated to the world of GI Joe, The Full Force will concentrate on the international releases from the UK & Europe. The show is interactive, so email us at TheFullForce@AllTheCoolStuff.co.uk, "LIKE" us on Facebook at facebook.com/thefullforce or find the Twitter feeds @TheFullForce. NEWS BURST!! WORDBURGLAR - THE MOS EISLEY RAP SHOW EP!! 💥 NEWS BURST!! WORDBURGLAR - THE MOS EISLEY RAP SHOW EP!! 💥 Hello and welcome to a very special edition of #TheFullForce #NewsBurst brought to you by GeneralsJoes with me as your host, Christopher ‘both scum and villainy’ McLeod aka #Diagnostik80!! On this installment of your absolutely favourite kind of burst, I have managed to get another scoop from the man behind all of your favourite nerd raps, the one, the only, Wordburglar, who is joining me to discuss his awesome upcoming EP, #TheMosEisleyRapShow!!!! So without further ado, let’s get stuck into this News Burst!! WORDBURGLAR: Website Bandcamp GENERAL’S JOES: Website THE FULL FORCE PODCAST: Podbean iTunes Stitcher YouTube You can also follow us on Twitter (@TheFullForce) And Facebook We have also started a brand new Patreon page, so check that out for the chance to get exclusive bonus content and early access to even more awesome episodes. Keep listening, watching, following, liking, subscribing and generally interacting with all the content we put out...... FULL FORCE!!! TALKING FORCE!! EASTER SPECIAL - ACTION FORCE WEEKLY!! COMICS BURST!! GOBOTS SPECIAL PART 2!! COMICS BURST!! EPISODE 26 - G.I. JOE: ARAH #260!! COMICS BURST!! EPISODE 25 - SYNERGY: A HASBRO CREATORS SHOWCASE! !